Are you in arrears? Renew now! 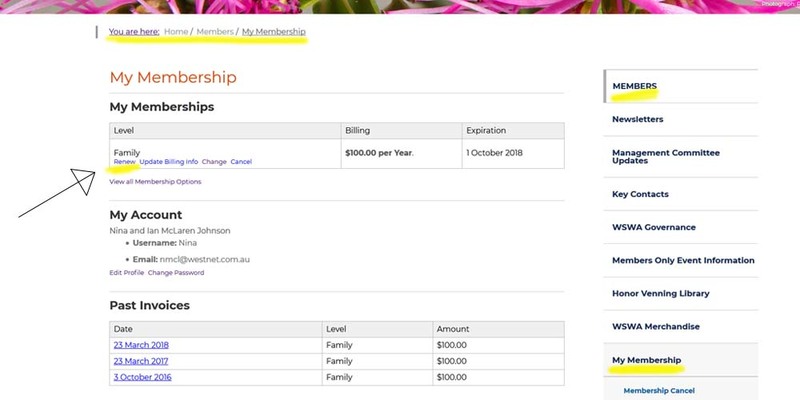 Renewals can be made online on the ‘My Membership’ page – which is under the ‘Members’ main menu. This Members Only area requires a password, although if you have previously logged into the system (on the same computer or device) you should get automatic entry. If you have any trouble renewing, or logging in, please email memberships@wildflowersocietywa.org.au for assistance from a volunteer member. Of course, you can always renew in the usual way – with a cheque by post, or by telephoning the office during normal business hours and providing details over the phone. The paper renewal form can be downloaded here.